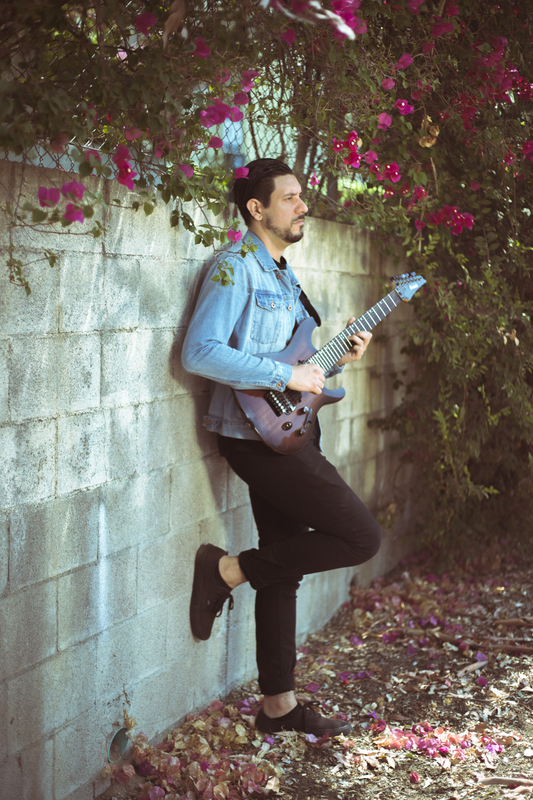 Death of an Astronomer is a Los Angeles-based instrumental progressive rock/metal one-man band by guitarist and keyboardist Jairo Estrada who back in September debuted a single “Digital Conversation.” We had an opportunity to chat with Jairo about his mission with the project, working on a single, and what we can expect in the future. Define the mission of Death Of An Astronomer. The mission from the beginning has always been to write music that I feel has no real limitations. I’ve always wanted to create music that was not only able flow across multiple genres, but I never wanted to be trapped in any sort of box. While I would definitely say DOAA is still metal/rock in the end, I love that I feel so inspired to write music that doesn’t have stay within the parameters of those genres. Tell me about the creative process that informed your recent single “Digital Conversation”. I had been writing all sorts of stuff and didn’t know exactly where to go. I began to try strip things down as much as possible and figure out a way that I personally approach technical music but still infuse melody and keep it as simple as I could. Once I compiled a few riffs that I felt worked together, I started messing with keyboard sounds which ended up giving the song more to latch onto which I had been searching for some time. Does “Digital Conversation” have a background story? What is your interlocutor in this conversation? I’ve noticed more and more every day that we all including myself, are attached to our phones and other devices. I find that we sometimes would rather have a conversation through text messages over actually meeting in person and having a discussion, hence the title “Digital Conversation”. Even though it’s an instrumental song, I feel that you can still convey a feeling or idea through the music because the music itself is the voice. The riffs and keyboards are all speaking to the listener and can sometimes force you to listen closely to catch certain details which I feel work so well with this track. So, as I was writing this song, I was talking to some friends a lot but never seeing them in person and it only seemed like I would speak to them through this device whether it be because they live far away or just have a different work schedule that complicates spending time together. For whatever reason, this concept just stuck with me throughout the writing process. I usually record any riffs that I come up with on my phone. Even though I just mentioned that I feel too attached to my phone, it serves a purpose as I am able to record anything in it and keep it for reference. I also tend to sit and play guitar for a long time and really memorize my riffs (for the most part) before I crack open logic or any recording software to begin any demoing. So, for this track, I had been writing for a while so once I memorized a few of the riffs, I would record short demos of them using logic and once I felt ready to officially record, I had memorized the entire song in my head. It was a very interesting process for sure. Is the dynamic flow of the song carefully architected? Yes definitely! It’s important to me that the song feels as cohesive as possible rather than a ton of riffs thrown together. I tend to dismantle my songs pretty quickly figure out which part sounds best in the arrangement. Once I wrote the intro, I knew that I wanted the following sections to get slightly heavier but not overdo it, which is why I feel that the breakdown at the end hits so hard. I love that this song has so many ups and downs and only repeats a few sections. Recording it was amazing. I worked with two very talented engineers who are also great friends. The main rhythm guitar tracks were recorded with my friend Ryan Williams. We used his Kemper which was awesome. We messed with tons of tones until we found the one that fit the best. Heavy but clear and dynamic. Then my friend Ryan Johnston helped me track all the other instruments. I never intended to be a sort of “one man band” type situation, but it was fun playing all of the other instruments aside from drums. This process was both fun and taught me a lot about analyzing my songs and narrowing down what fits and what can go, which is what I did a lot of while recording. Between the writing process which took a few months because I was also working on other songs, and working around the engineers’ schedules I would say it took about two months. Tracking the rhythm guitars in an apartment and then recording everything else in a full-on studio, it did take some time to complete. I wouldn’t have it any other way as I couldn’t be happier with the result, which I have to thank my friends Ryan Williams and Ryan Johnston for helping out and being so amazing to work with. What bands or artists influence you? I have many different influences that range from so many genres. I would say bands such as Between The Buried And Me, Animals As Leaders, The Contortionist, Meshuggah to name a few, really helped me develope my style as a guitar player especially within the last ten years or so. They really showed me that you can create heavy, technical and progressive music and still work in some melody with ease. I also love bands like Thrice because of their heartfelt and enthusiastic songwriting. They in particular have changed the way I approach writing music and the way I play my guitar. Technology is a very interesting concept. I feel that it definitely benefits everyone including musicians. There are so many advances in gear every day and I feel that it will only progress more and more as the years go by. I also feel like technology has changed the way people listen to music for better or worse. Most people listen to music through streaming which is great because you can create playlists and share songs across the globe at the click of a button, but I feel it’s taken a lot of people away from what it’s like to listen to physical music such as cds which is what I always loved to do. Although, vinyl is huge again which is also really sick. Do you see your music serving a purpose beyond music? I guess I would like it to in some way. Not sure how but I guess if it brings someone joy then I guess it’s done more than I ever really imagined. It’s funny to think about that as I’ve always written music and not really given it a thought as to what anyone else would think of it. We’ll see if serves a purpose in time but for now I’m just so happy that anyone is enjoying even a moment of music I’ve put out there. Well right now I am preparing something else to be released and I can’t wait for everyone to check it out. I have a lot of music I am working on and I will probably compile it all into an EP or a full length sometime soon. I also plan on touring as much as possible. That is one thing I have been looking forward to so when the time comes, DOAA will be out there in a city near you! I am extremely excited and I can’t wait to see what the future holds. 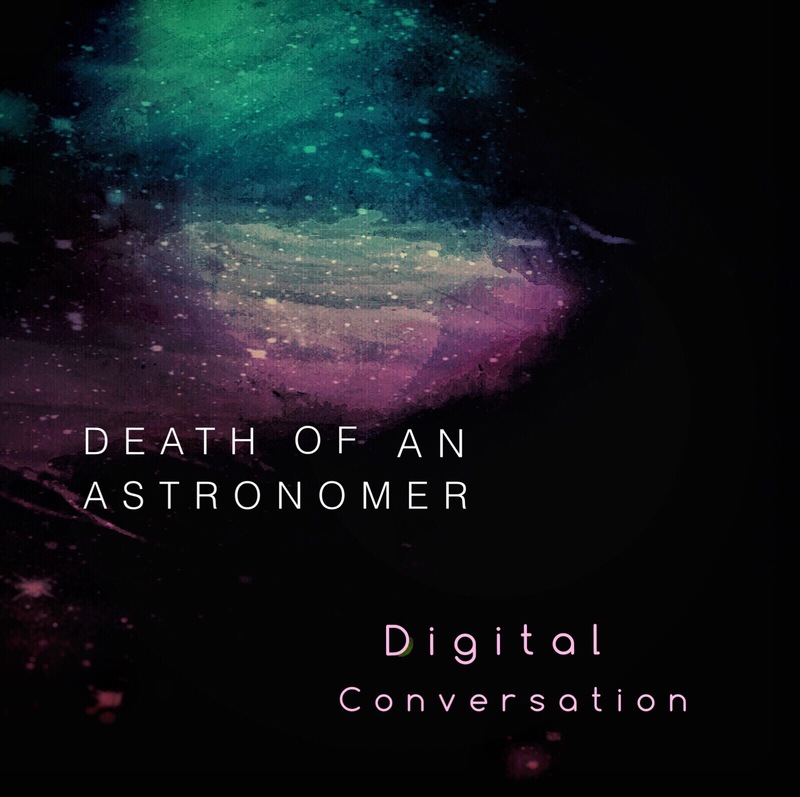 Support Death of an Astronomer and buy “Digital Conversation” from Bandcamp. Stay tuned with what the project releases next by following it on Facebook, Instagram and YouTube.